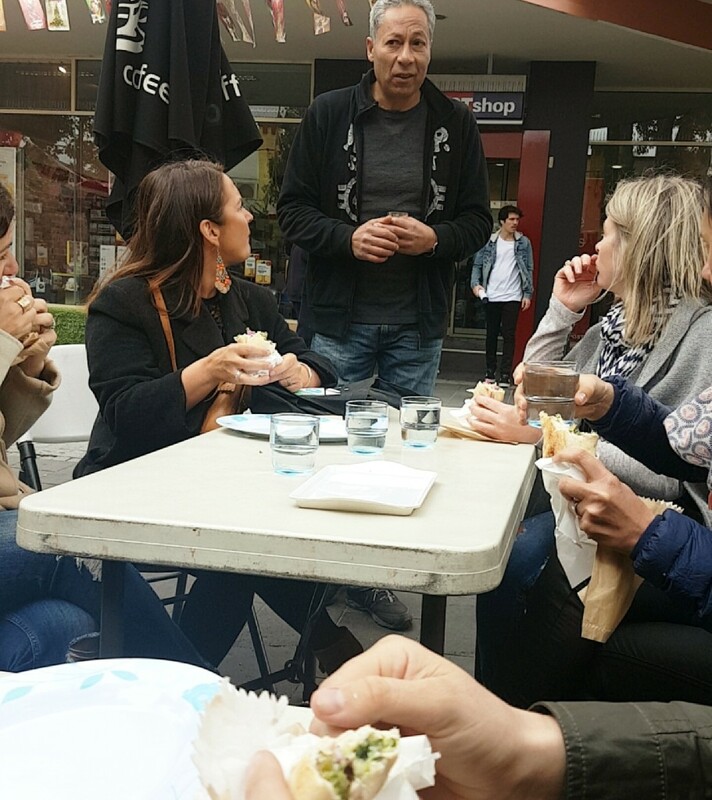 Flavourhood tours is a comprehensive, fun and incredibly fulfilling (pun intended) day out exploring a prime example of Melbourne’s bustling inner city suburbia with plenty to offer in sensory delights offering you tasty and knowledgeable experiences whether you are from out of town or opening your eyes to being a tourist in your own city. 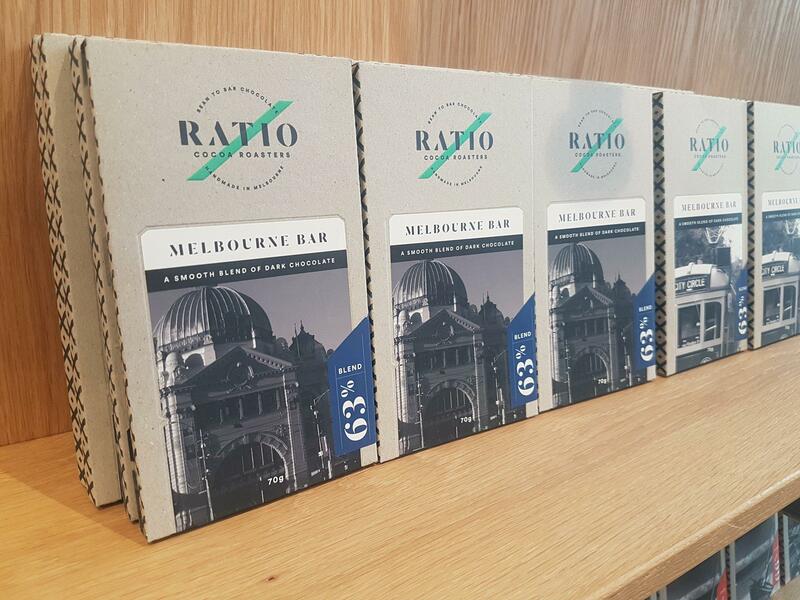 Whether you’re from Austria, Adelaide or Abbotsford, for a wonderful insight into the best of Melbourne’s melting pot of sights, sounds and tastes, for something extremely authentic and unique, look beyond the CBD to Melbourne’s longest continuous shopping strip, Sydney Road. I used to think the peak of Sydney Road’s excitement was merely the offering of hip live music venues and alternative bars that would appear randomly between the plethora of discount $2 shops, kebab stops, glitzy wedding dress stores, fruit markets and Franco Cozzo, but Flavourhood Tours provided me with an unforgettable experience that opened my eyes to discover that there is So. Much. More. 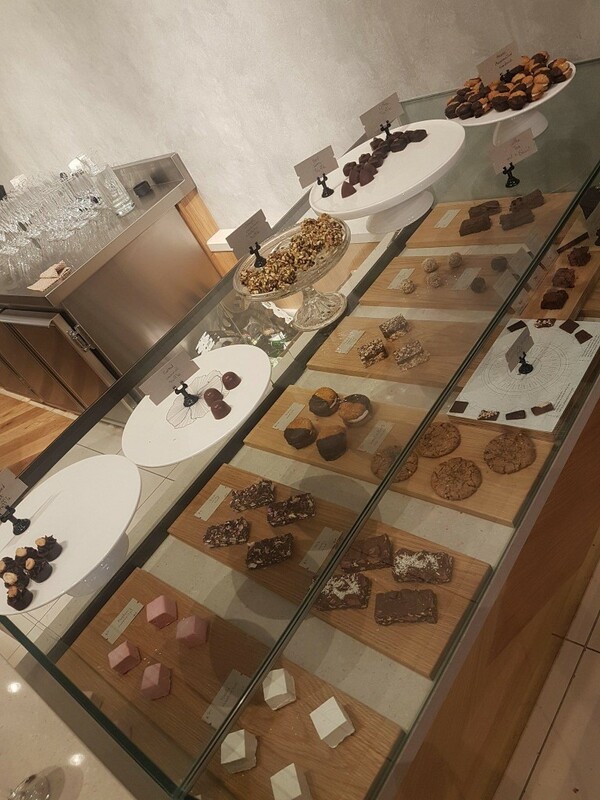 Come prepared with comfy shoes and an empty stomach and the delightful Raffaela takes care of the rest. I met Raffaela and the rest of my tour group at Coburg library greeted by a goodie bag including information and coupons which were of great value to look back on and remember all the places I had visited after the tour ended. The tour commenced with a short walk to Zaatar Bakery where we were greeted with a grand feast featuring a classic Lebanese breakfast spread. 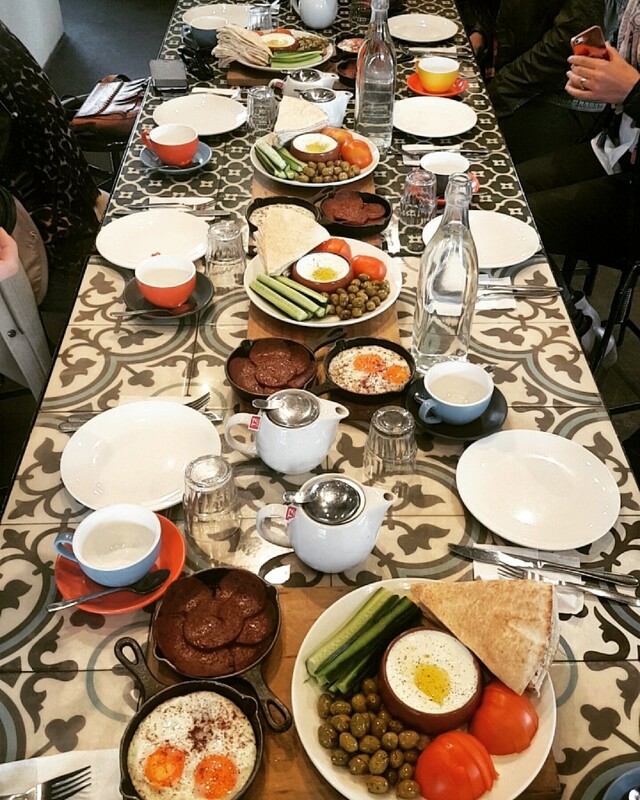 Whilst joyfully munching away, one of the owners, Jeff provided us with some background information on the history of Zaatar, where the food was sourced (their imported Lebanese olives are a must try!) 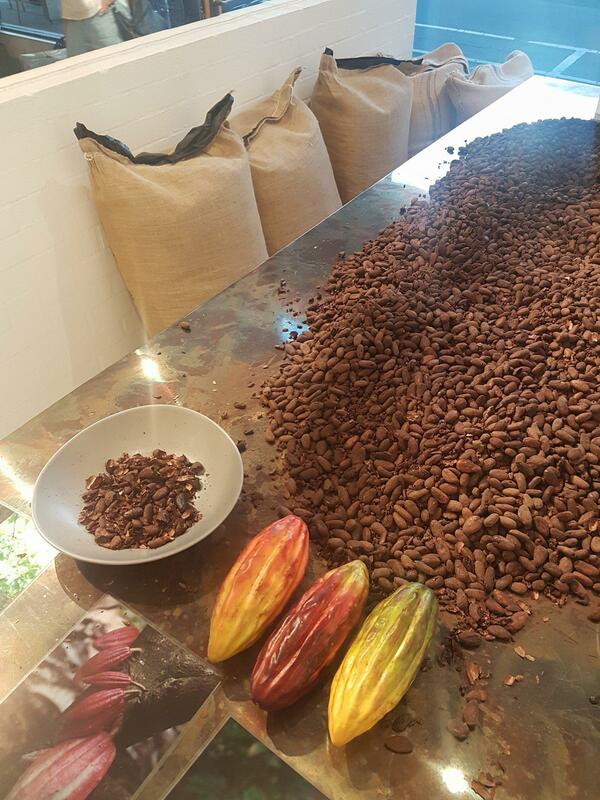 as well as how food is made and prepared on site. 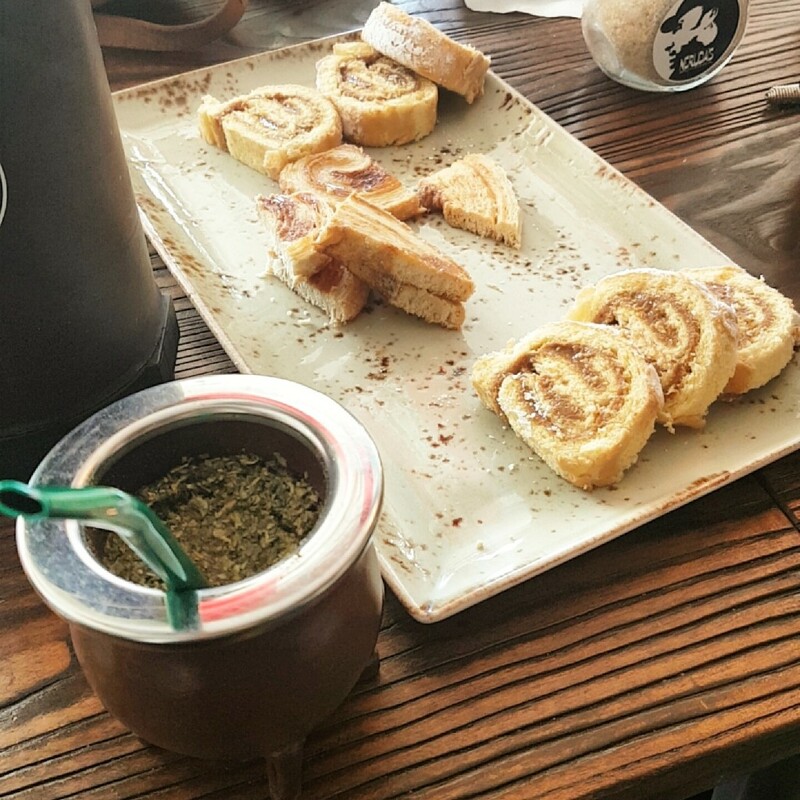 This generous and insightful start to the day serves as a great example of what to expect throughout the four hour long tour as you are guided through the local area with six main stops in addition to many interesting points of interest along the way. As part of the tour I went on, some of our stops included Vasili’s Garden and café where local celebrity gardener and star of the channel 31 and channel 7 tv show ‘Vasili’s Garden’, Vasili himself served us Turkish coffee and Greek sweets whilst walking us through his garden and plant store and took the time to answer everyone’s gardening questions with personalized advice. I liked that there was absolutely never pressure or even expectation to purchase goods along the tour at any of the stops. 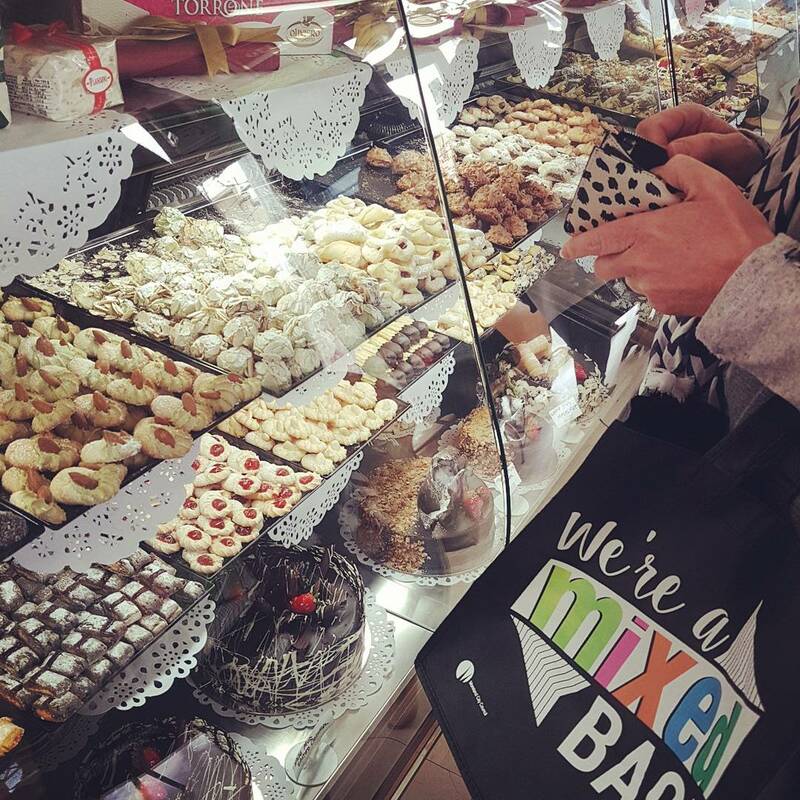 The tour was all inclusive and all aspects of the tour were well thought out and taken care of, from a breakfast feast to an abundance of delicious bites and snacks along the way to myki fares and take home goodies, all provided for. We ate the best falafel I have ever eaten, (now I understand why it is known as best falafel in Melbourne) tried an exotic Columbian herbal tea as well as a selection of Italian and Columbian sweets, sampled wines and a grand assortment of Mediterranean cold cut meats in addition to finishing off the day with a ‘Brunswick blessing’ and a Brunswick brew relaxing in the sun, content as can be in our food coma states. 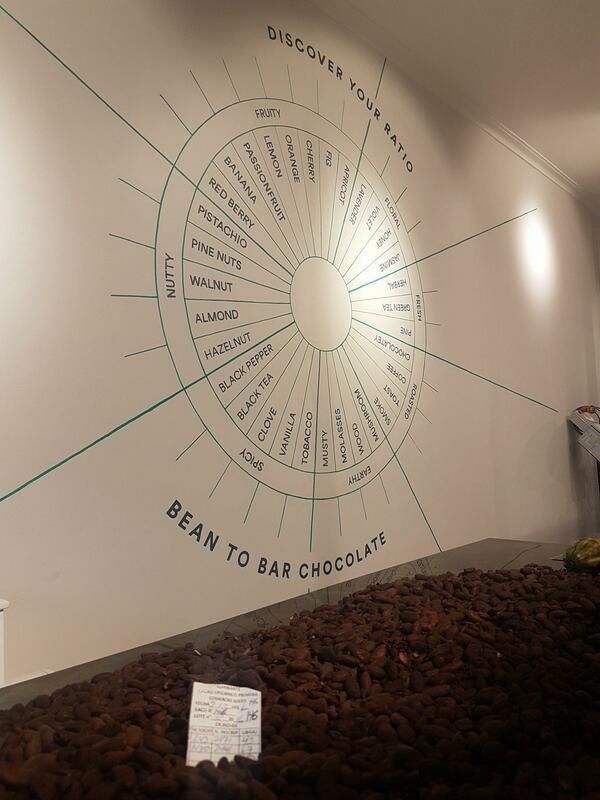 Not to mention for those who may not be as extensively excited by culinary delights as me, the tour goes beyond food and covers many fascinating and treasured points of interests along the way. Not only did we receive some valuable information on where to buy the cheapest and comfiest custom pair of jeans in Melbourne to where you can purchase hand-made customised shoes to the story behind the original Australian Ugg boots brand, the history of Sydney Road as well as some Sydney Road movie location trivia. Flavourhood tours provides an in-depth and well thought out tour that covers an extensive collection of local treasures that leaves you feeling extremely full and extremely inspired. You leave the end of the tour feeling like a true local, equipped with a memorable collection of places to return to and familiar faces at each store to stop by and speak to again. 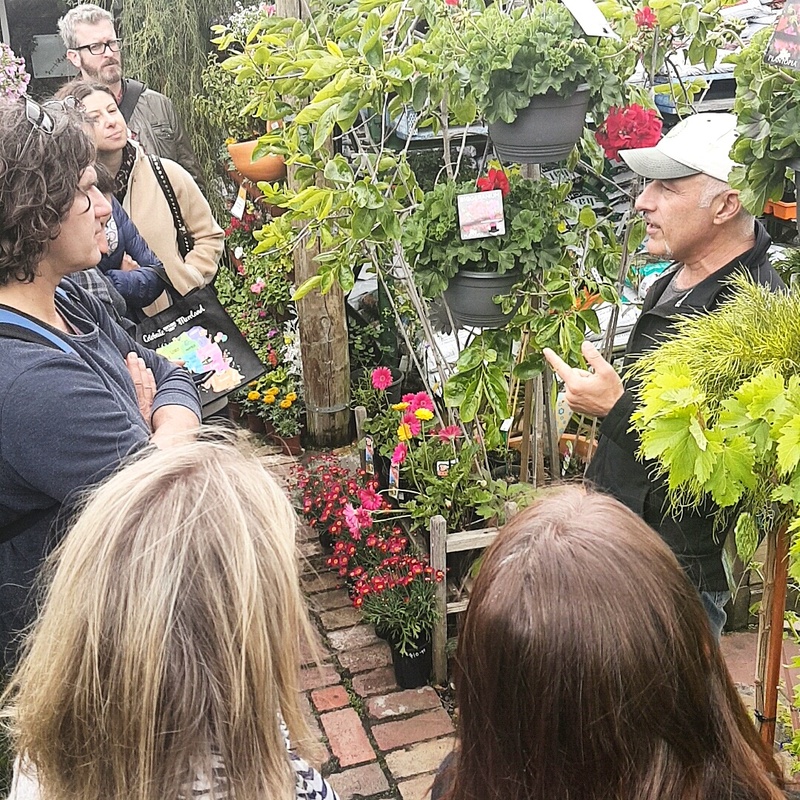 Flavourhood tours hosts 4 hour small group tours on Saturdays throughout the year. 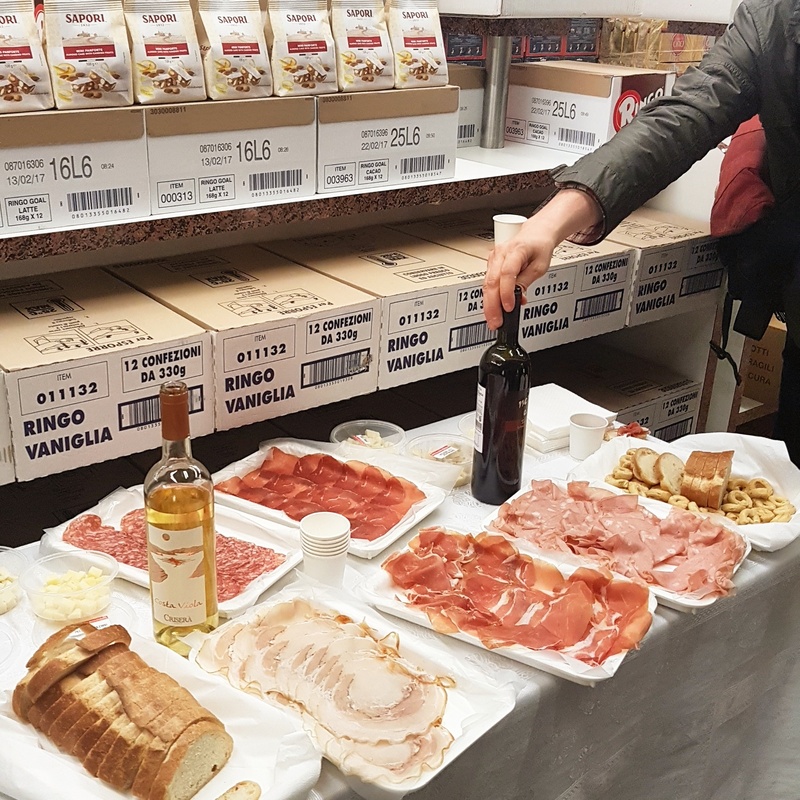 Price: $99 inclusive of breakfast and generous tastings and bites at 6 locations throughout the tour, take home samples and myki fares for travelling on the duration of the tour. 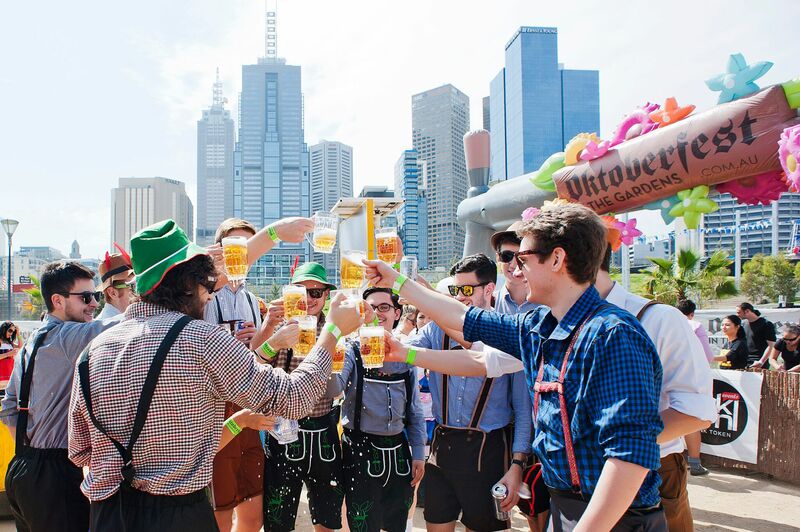 While Oktoberfest may have finished up in Munich, the Bavarian beer celebrations are in full swing around Melbourne! 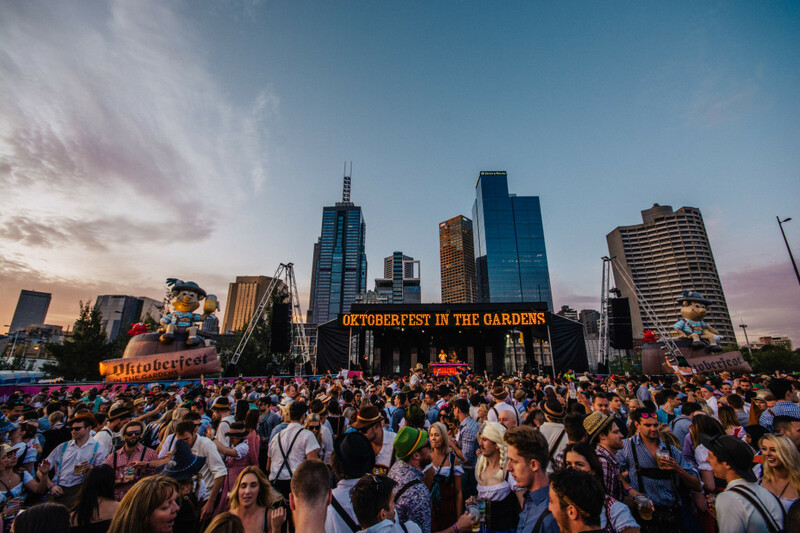 Oktoberfest in the Gardens has fast become the ultimate Oktoberfest festival for those of us residing in Australia with its sell-out events getting bigger and better each year. This October is no exception with Oktoberfest in the Gardens back again, bringing along over 20 imported German beers, ciders and wines to ‘prost’ in your dirndl or lederhosen get up amongst the riverside beer halls and German food stalls. 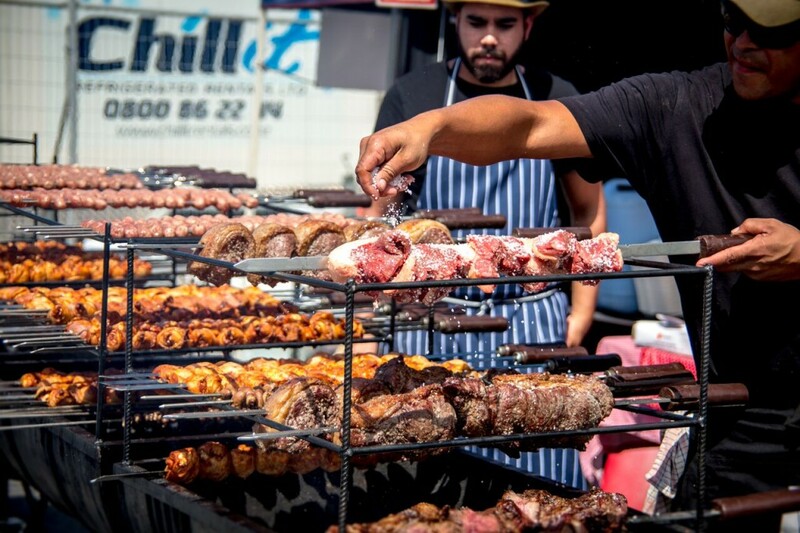 The event will take you from a fun-filled afternoon to evening with themes roving performers, live music, carnival rides and on-stage events (sausage eating competition anyone?) as well as DJ sets and the ever fabulous silent disco (don’t diss it until you try it – I promise). If the weather this week has yet to put a spring in your step then a visit to the lavish site of Como House and Garden this Saturday appears to be your best chance to kick off this year’s Melbourne Spring Racing season. For what is shaping up to be our last day of lovely sunshine for the first month of Spring in Melbourne, giddy up to the beautiful Como House where The National Trust of Australia (Victoria) will be hosting a luxe brunch affair. 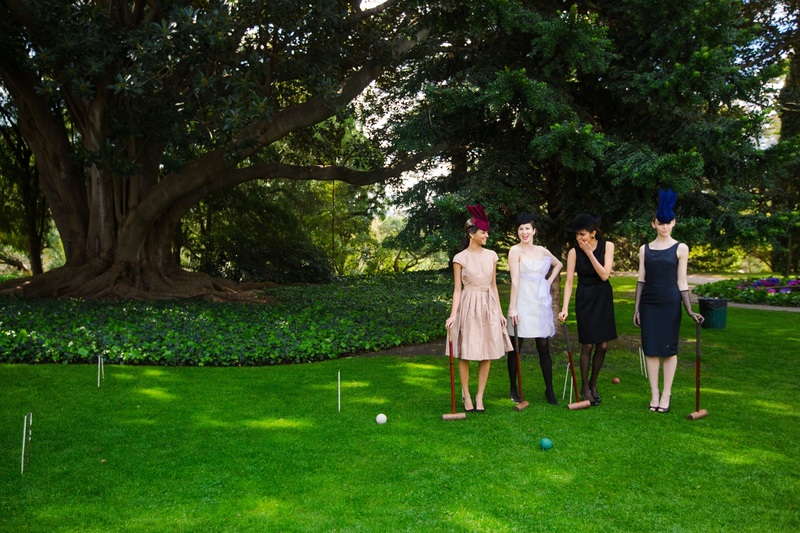 Grab your tickets to the Como House Spring Racing launch party for a day of old fashioned fun including vintage fashion and activities amongst the charming scenery of the heritage ballroom and lush croquet lawn. The event will include plenty of fashion to see, prizes to be won, bubbles to sip, croquet to play and live music to hear. Try your luck in the vintage fashion raffles and take up the exclusive opportunity to take a snap with the special honorary guest, the official 18 carat gold 2016 Emirates Melbourne Cup! or call 03 9656 9889. Small business owners, budding entrepreneurs, innovative thinkers and business leaders of tomorrow, the New Beginnings Fair is one event not to miss. Take part in think tank sessions and interactive classes on issues from law to PR to social media and everything in between to inspire, challenge and encourage your entrepreneurial endeavors. Check out the jam packed schedule for the day here and don’t forget to pre-book your tickets online before attending tomorrow! 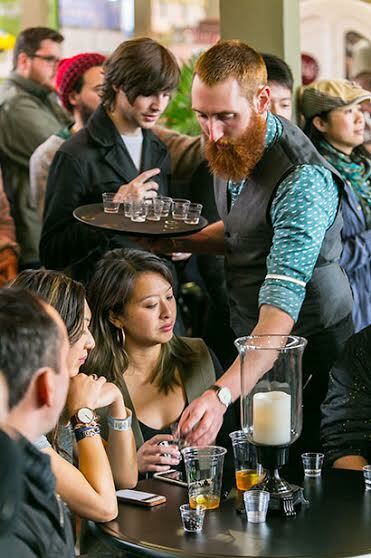 If you’ve outgrown your usual drink of choice (or decided drinking Espresso Martinis in Melbourne has become too normcore) then get ready to shake things up, (pun intended) raise your glass and say cheers this weekend at The Australian Drinks Festival. 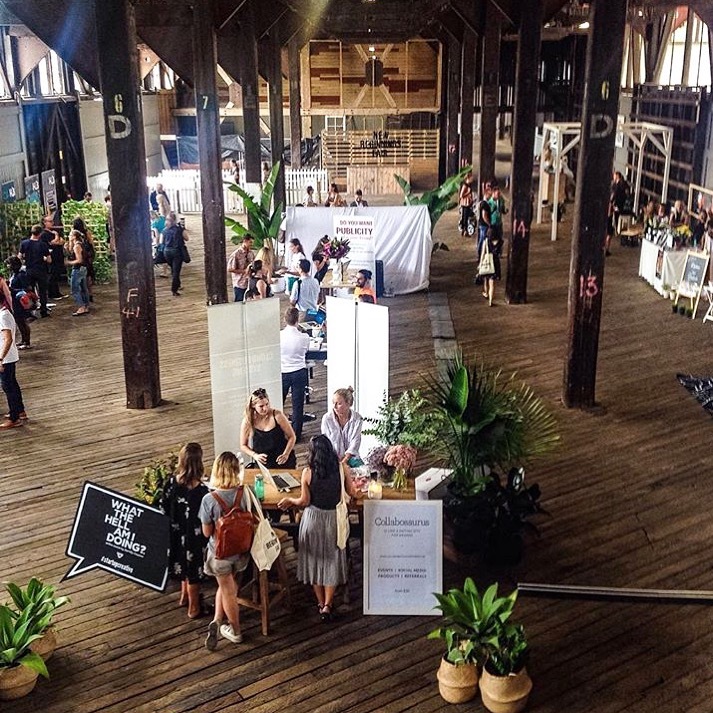 Formerly known as the Top Shelf Festival, the premium drinks festival will see lots of cocktail shaking, wine sipping, beer skulling and dare we say shots poured as the two day event returns to Melbourne this weekend. Collect your Australian Drinks Festival passport and travel through stalls in the ‘Bar Safari’ sampling featured drinks and specials on offer from top Melbourne cocktail bars and restaurants or take part in one (or a few) of the extensive selection of tastings, classes and presentations on offer. Sit in on a Tequila Masterclass with Nick Peters from Melbourne’s Mamasita restaurant and bar or a Sensory Blindfolded Beer Tasting run by ‘Beer Diva’ Kirrily Waldhorn. Learn the Art of the Martini with Phillip Jones, aka ‘the Martini Whisperer’ and taste some of the world’s finest gins with ‘Gin Queen’ Caroline Childerley. Participate in a Vodka and Food Pairing class or sign up to learn how to distil your own gin with McHenry Distillery. 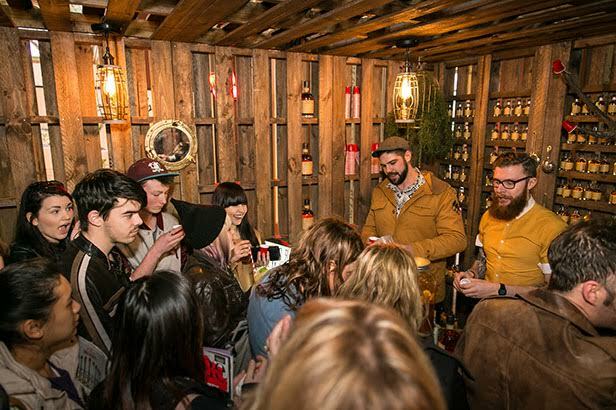 Visit the world’s smallest bar, ‘The Monkey’s Shoulder’ or make your way through the wide selection of premium and craft liquors, spirits, whiskies, beers, ciders and wines available directly from the distillers, winemakers and brewers exhibiting in the ‘Boutique Market’. Then once you’ve found your favourite drinks of choice, sit back and sip away in the wine garden surrounded by local food trucks and live music. Advance tickets cost $45 or $50 on the door. Tickets available to purchase online now. 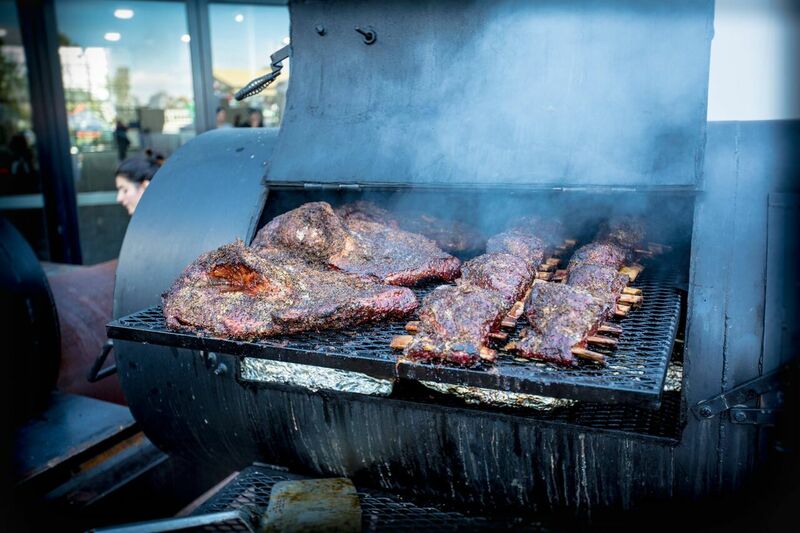 Citi presents your next foodie day out with the 2016 Good Food and Wine Show! 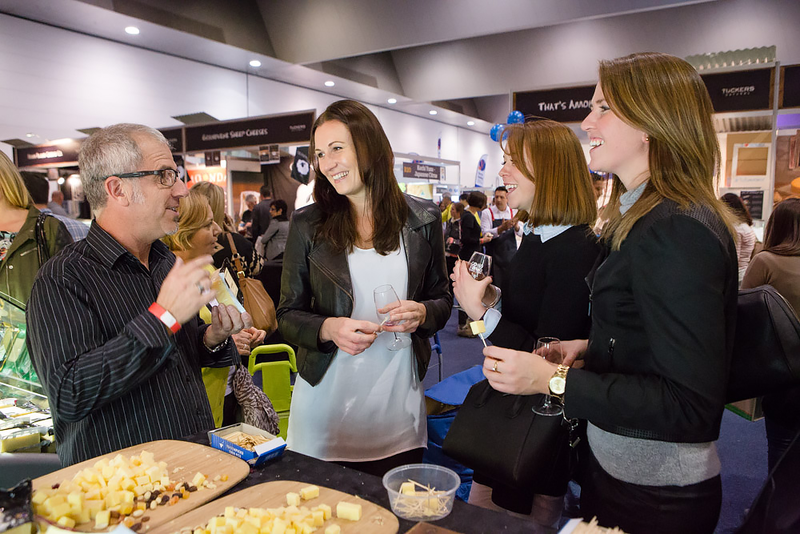 Featuring a collaboration of celebrity chefs, boutique producers and local product, the Good Food and Wine Show returns to Melbourne this weekend, just in time for the start of winter to provide you with fresh inspiration for your home cooking. 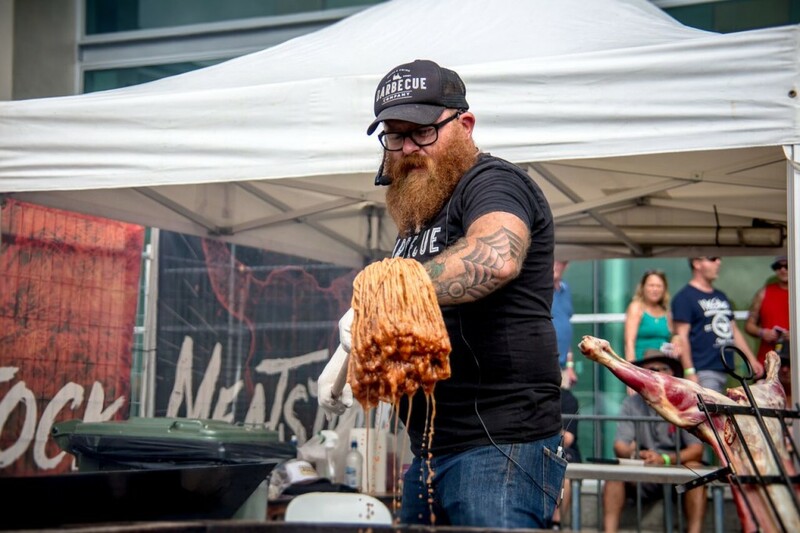 This year’s event will feature live cooking demonstrations by headlining celebrity chefs, Matt Moran and Colin Fassnidge as well as the return of crowd favourites, Miguel Maestre and My Kitchen Rules winners Sammy and Bella. Discover and taste a wide variety of foodie finds in Artisan Square and pick up your favourite Maggie Beer treats direct from Maggie’s Table. Brush up on your wine knowledge with a range of wine appreciation classes and find a beer to suit your taste buds in Dan Murphy’s Beer and Cider Hall. You can also try your hand at fermenting kimchi or kraut with the Good Food School Intro to Fermentation free class. Visitors’ of the event in previous years won’t be disappointed to find their favourite regular exhibitors in attendance as well as exciting new comers. 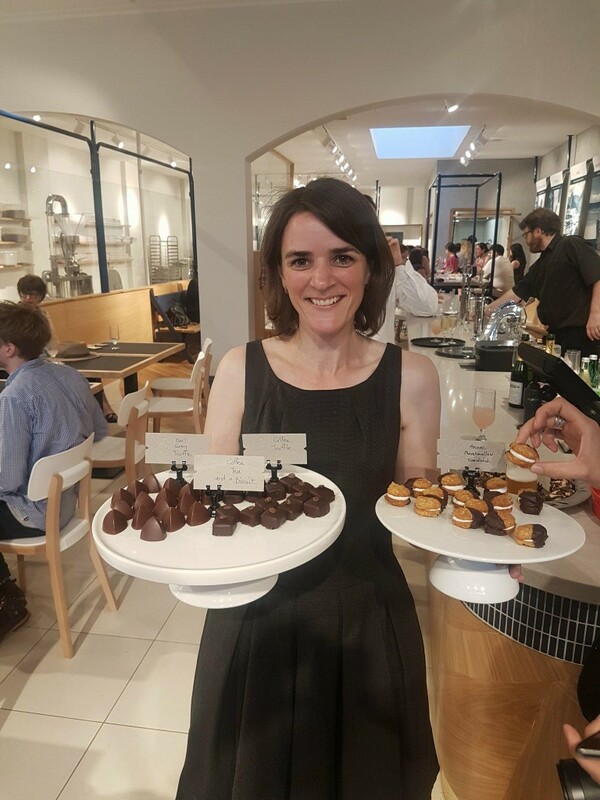 It’s an engaging event to not only see and try different products on the day but be inspired beyond the event with new ideas and ingredients to bring home to your own kitchen. Follow Melbourne Darling on Facebook and Instagram for live updates from the show this weekend! Friday 3rd June – Sunday 5th June. Disclaimer: This is a sponsored post bought to you By Nuffnang. All opinions expressed are the author’s own. If you also fell in love with the magical gowns that transformed the uncouth residents of Dungatar into alluring femme fatales in the movie The Dressmaker, you too can be like Tilly Dunnage and make your own fashionable return visit to Dungatar for The Dressmaker Costume Exhibition where a lavish collection of exquisite costumes from The Dressmaker feature film are now on display at the Rippon Lea House and Gardens. The Dressmaker movie shows the quirky and bittersweet tale of beautiful couture and sweet revenge, based on the best-selling novel penned by fellow Melbourne local, author Rosalie Ham. 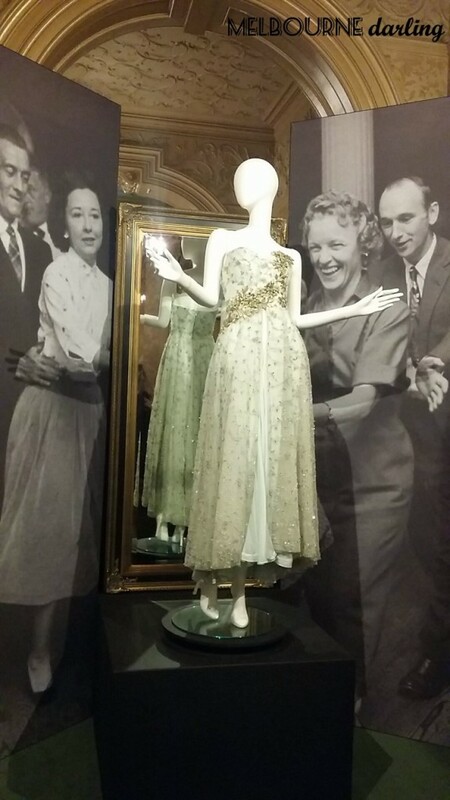 The collection of remarkable haute couture costumes is an ode to the glamorous decade in which the story was set, in the 1950s. But just as the fabulous couture pieces stand out from amongst the dusty barren backdrop of the fictional small Australian country town of Dungatar, the striking costumes make just as much of a magnificent impression standing or rotating in their fixtures throughout the exhibition, housed in the ornate rooms scattered side the Rippon Lea Estate. The fitting setting makes for an excitable, voyeuristic treat with the charmingly vintage interior design and artwork lacing the walls amongst the exhibition. Take a peek into Tilly’s workroom, learn how the costumes were developed and see the outfits worn by the cast of the movie including Kate Winslet, Liam Hemsworth, Hugo Weaving (including a complete room dedicated to the costumes of Sergeant Farrat – check out the size of his ballet slippers) and Judy Davis. The unforgettable figure-flattering gowns, the elegant outfits, the large collection of headwear pieces and props, all beautifully on display as you walk through the estate like a beautiful maze, turning corners to discovering another little room containing the next beautiful collection of outfits from the next scene. The costumes initially left quite an impression on me when I viewed the film, however seeing the remarkable detail, fabric, textures and shapes up close gave me a new level of appreciation. 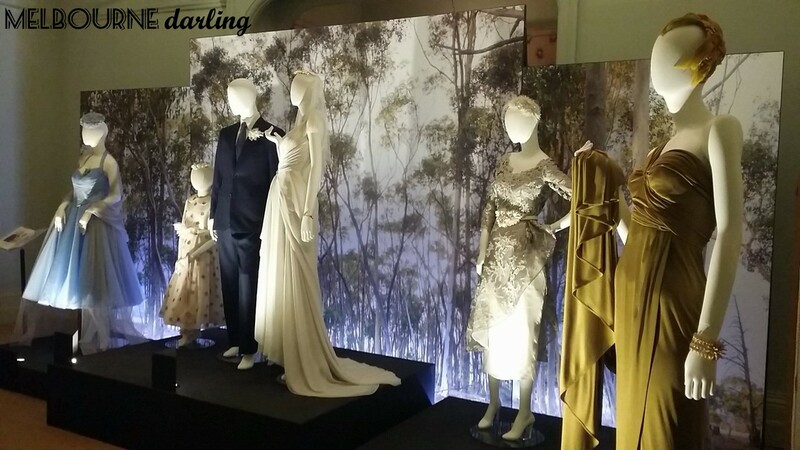 Therefore I would recommend the exhibition to fans of the movie as well as anyone with a love for costume design, haute couture, vintage fashion or anyone who has a penchant for the charm of the 1950s will definitely enjoy a trip to The Dressmaker Costume Exhibition. 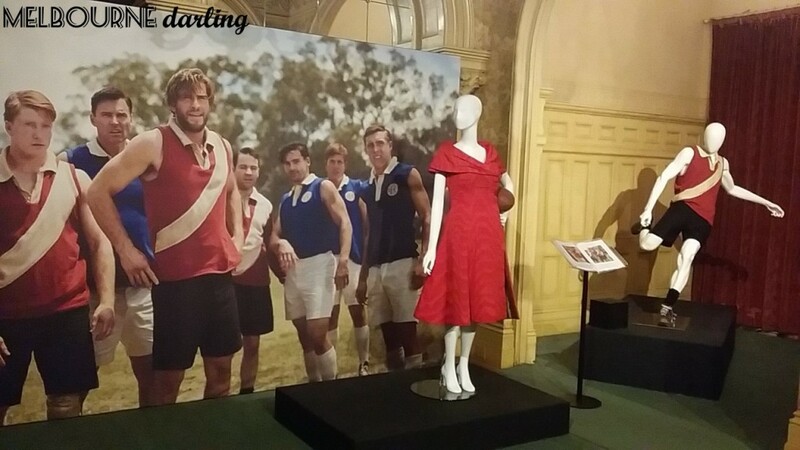 For visitors who also are also up for an even more unique experience of the exhibition, keep an eye out for the special events running during the exhibition which includes a ‘Meet the Makers’ Q&A session, a pop up bar and a night to recreate the Footballers dance as seen in the movie. Dates: 10am – 4pm, Friday April 22nd until Sunday 31st July. Tickets: Can be purchased online or at the door. For more information, visit the Dressmaker Exhibition website. It is no secret that Australians love taking up the opportunity to flock to Munich at least once in their life for the worlds most popular beer festival in the world – Oktoberfest. 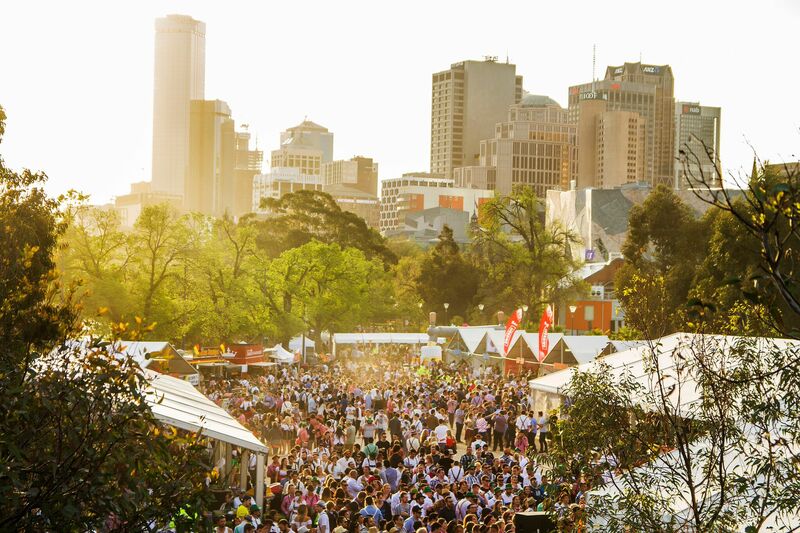 It is therefore no surprise to see that bringing an Oktoberfest festival to Australia has been such a success. Following on from the sell-out event in 2014, the biggest Oktoberfest celebration is back with a double dose of Bavarian fun. 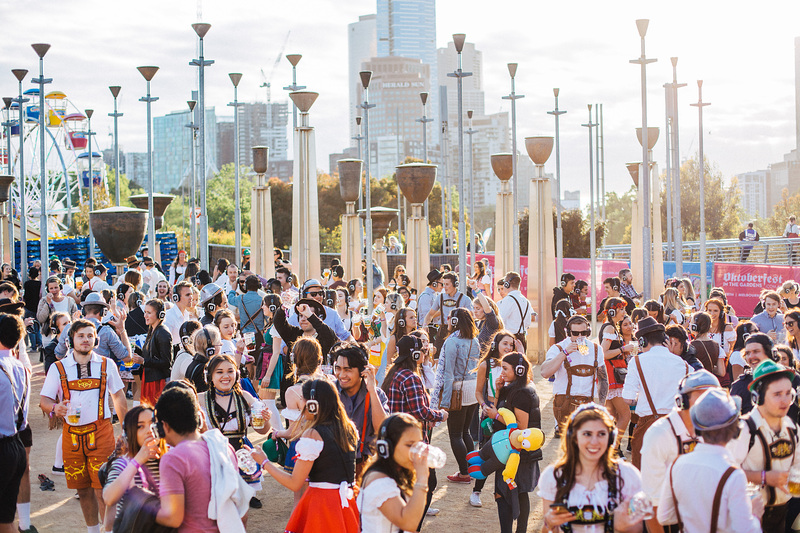 Located at the Melbourne riverside grounds of Birrarung Marr, Oktoberfest in the Gardens will be two days of celebrations in Melbourne on Friday 23rd and Saturday 24th October. Ladies don your dirndl, and fellas slip on your lederhose as ticketholders will be welcomed to the event with a commemorative event stein and complimentary beverage upon arrival. Then get ready to sip (or chug) a selection of imported European beverages at the pop up beer hall including wine, cider and of course – beer, with over 15 imported German draught beer options. 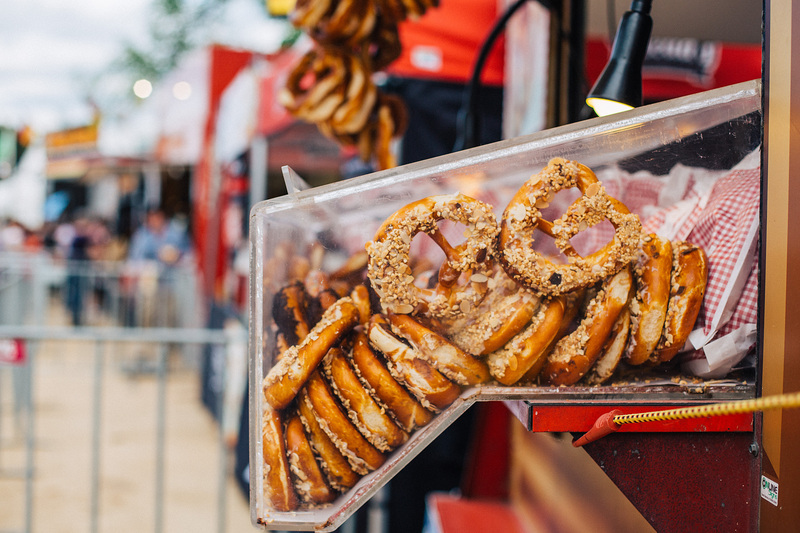 But a stein of ‘bier’ would not be complete without a pairing of ‘brezel’ and you can sample from an assortment of authentic Bavarian food on offer. Enjoy the rest of the day amongst the variety or performers, competitions, carnival games, rides and live music to keep you entertained and partying like a Bavarian throughout the afternoon and evening. Tickets for Saturday were sold out shortly after their release, however you can still purchase the last remaining tickets for this Friday’s event!